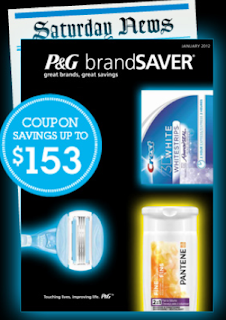 Look for your P&G Brandsaver coupon insert in your weekend paper - with $153 in coupon savings! - Save $7 when you buy Crest® 3D White® Whitestrips® 2-Hour Express. - Save $1 when you buy any Pantene Pro-V® 2-in-1 Shampoo & Conditioner. - Save $1 when you buy any full-size Olay® personal-cleansing product.